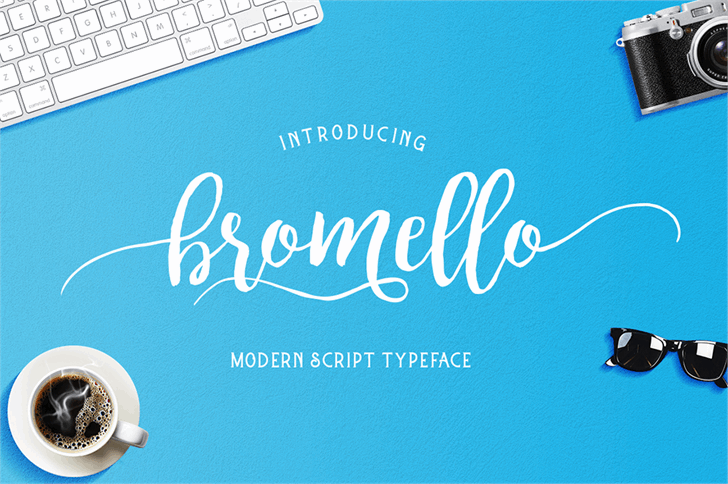 this font is free for just Personal use. but any donation are very appreciated. I love the font but it's only showing half of it until I make it 13pt, can you help me please? Love your work. 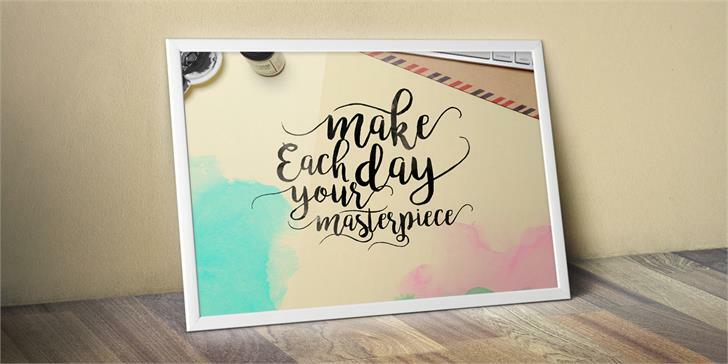 Beautiful font. Love this one! Nice job! Agreed - I can only see half a font which is a shame is it is such a lovely font! 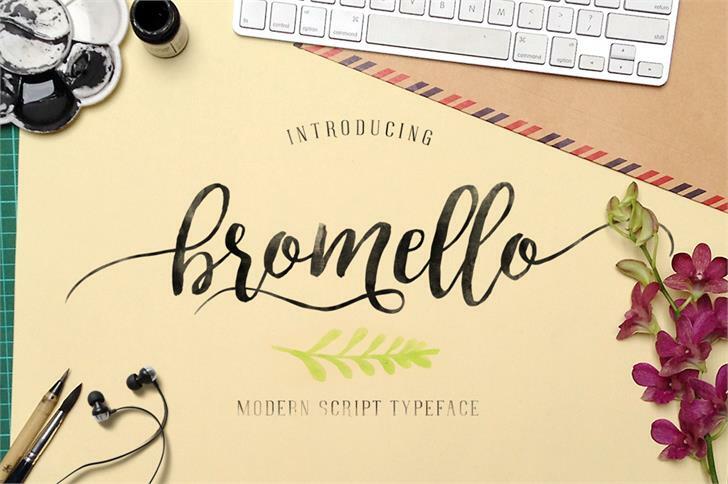 I downloaded Bromello for my wedding invite envelopes and cannot get the extra swashes to work with OpenType in the Advanced Font settings in Microsoft Word. 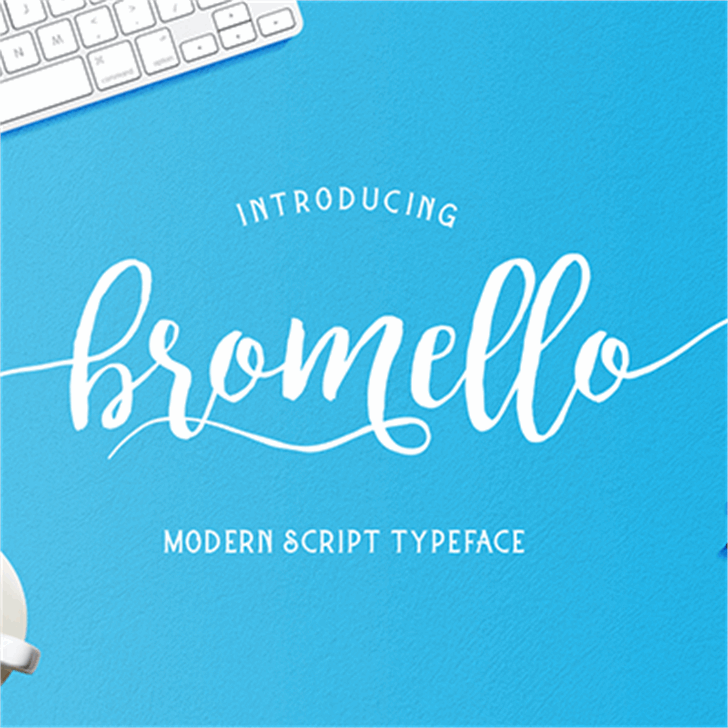 Downloaded newer version of Bromello and still cannot get the swashes to work. Contextual Alternates is enabled, went through every stylistic set and no changes. Any suggestions? 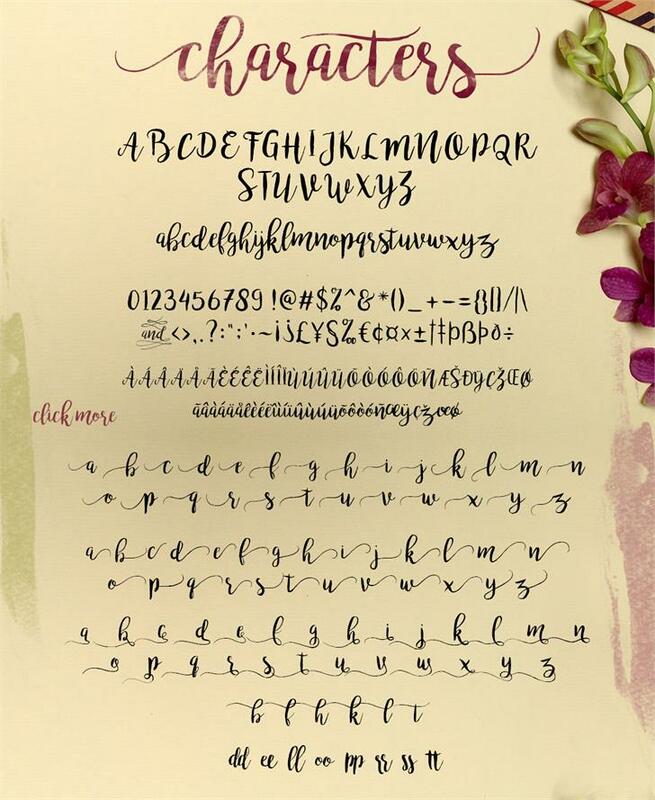 Beautiful font! But I am confused about commercial use - it says it is ok for personal and commercial use but there is a red x next to the word commercial above that. Can you tell me if it is ok for commercial use? Copyright (c) 2015 by alit_design. All rights reserved. 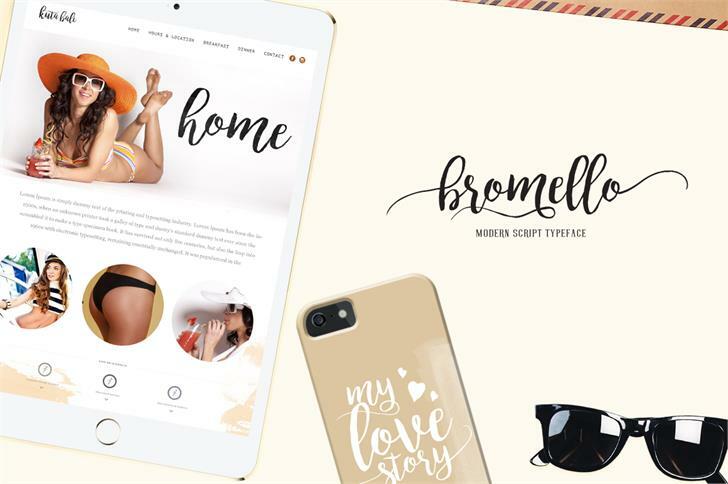 bromello is a trademark of alit_design.